Young people have a vital role to play in their countries’ development. There are now 1.8 billion young people (between the ages of 10 and 24, 2014 UN figures) — out of a global population of 7.3 billion — and nine out of 10 of them live in developing countries. This makes youth a vital dimension of development policy and practice, and more and more, the role of young people is being recognized. In a speech last year, the UN Deputy Secretary General put it clearly: “Young people must be recognized for who they are: agents of change whose contributions will bring benefits both to themselves and to society”. A set of institutions that have long known the potential of young people are universities. It’s through university study that young people can develop the knowledge, skills, ideas and attitudes that will enable them to contribute to their societies and economies, and also through which the state ensures it has a pipeline of professionals, able to serve the needs of business and of the public sector. At INASP we’re interested in research and knowledge systems: how ideas, information, evidence can be generated, appraised and deployed more effectively to solve problems and bring new perspectives to important issues. It is common to think of knowledge and its use in the sense of formal ‘products’ — reports, working papers, journal articles, datasets — the formal outputs of research projects and other ‘knowledge-generating’ initiatives. But knowledge is fundamentally social, and it depends on people. 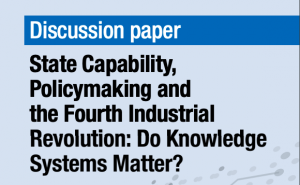 The extent to which business, government or civil society are able to put knowledge to work will rely on the skills and behaviours of their staff – supported, of course, by the right kind of incentives, organizational structures and processes. 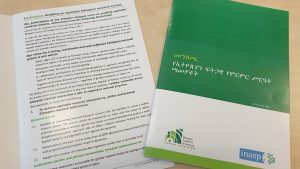 These staff will need to value evidence and information, be able to assess its quality, understand where it has come from, and how it is been produced. Clearly many of the people that will play this role will need to come through a country’s higher-education system. We’ve worked with universities for many years at INASP. One of our major contributions has been access to the books and journals that academics and students need for teaching and research. We’ve supported librarians to develop information skills programmes, which have helped their students navigate the ever-growing tide of digital sources, and we’ve worked with national IT bodies to ensure university IT networks are robust enough to support digital learning. But we’ve long recognized that, while essential, access to information isn’t sufficient to improve the learning environment for students. 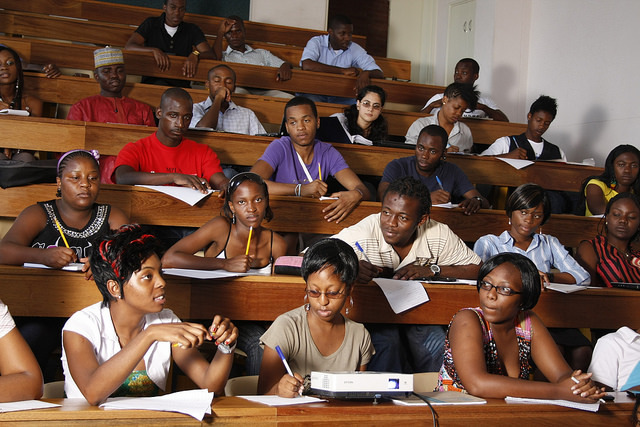 As higher education has expanded across Africa and Asia in the last decade, growth has been accompanied by a growing concern with quality and questions about the relevance of many university programmes. While many more students are going to university, they often struggle to find employment when they graduate. Many factors impinge on quality. In Sub-Saharan Africa, the region I’m particularly familiar with, lecturers are often dealing with huge classes (and some shuttle between universities), many are under-qualified, facilities are often strained, courses and reading lists aren’t up-to-date, and teaching approaches are often traditional “chalk and talk” approaches which do not do much to encourage independent thought. 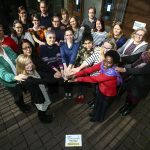 Women – as university lecturers and as students – often face particular obstacles, from sexual harassment on campus to difficulties progressing their academic careers, if indeed they are able to overcome family and social expectations to access further study in the first place. The problems are well recognized of course, and have been discussed at plenty of high-profile events (although the practical solutions aren’t always evident), and there are a growing number of continental, regional, national and institutional initiatives seeking to address them. In East Africa, for example, a network of quality assurance experts has been developed to support individual universities. At postgraduate level, the World Bank has sponsored a series of ‘centres of excellence’ at 38 universities in West and East and Southern Africa, and initiatives such as PASGR, RUFORUM and APHRC have networked universities on social policy and governance, agriculture and health. There have been other smaller projects too, often established as partnerships between northern and African universities. This quote, from a South African student interviewed as part of a British Council study captures something of the potential of both young people, and the potential of higher education to help them make a difference in their countries. But while university places have expanded dramatically, too often that potential isn’t realized because of a mis-match between the skills, knowledge and attitudes that are needed, and what the university system has to offer. 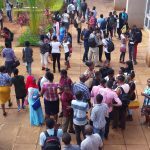 A recent study by the Inter-University Council for East Africa (referenced in the British Council report) estimated that over half of all graduates in the region are inadequately prepared for employment. Although it doesn’t explain all of the challenges that students face, and the evidence base is patchy, employer dissatisfaction with graduates’ skills and attitudes is a common feature of conference discussion and in the higher-education news. In some cases professional bodies have withdrawn their endorsement of university courses. One of the sets of skills that is often identified as lacking concern is problem solving and critical thinking. According to a recent British Council study, these skills came third and fourth in a list of skills most valued by Ghanaian employers, after integrity and attitude to work. 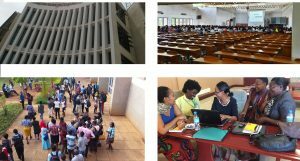 Although it is commonly assumed that higher education is where students develop these skills, work by Rebecca Schendel in Rwanda (subscription content) suggests that often this doesn’t happen, and it’s certainly not automatic. Recognizing the role of young people, and supporting them through higher education, isn’t just about the drier language of skills and competencies, though. It’s about relationships between universities and their wider stakeholders – in business, in the public sector and in local communities. And as the South African student’s comment above suggests, it’s also about harnessing their creativity, energy and – in many cases – their commitment to directing social good. It’s that energy that we and our partners see – and that we want to enable – as part of our drive to put knowledge at the heart of development. Our new strategy commits us to exploring a new strand of work to address this. Read more about our plans in the second post in the series here: Transforming teaching and learning in East Africa.